You will notice the bottle was sweating. Chris and I arrived first and unpacked the car. We relaxed and sat underneath the oak tree facing the water. 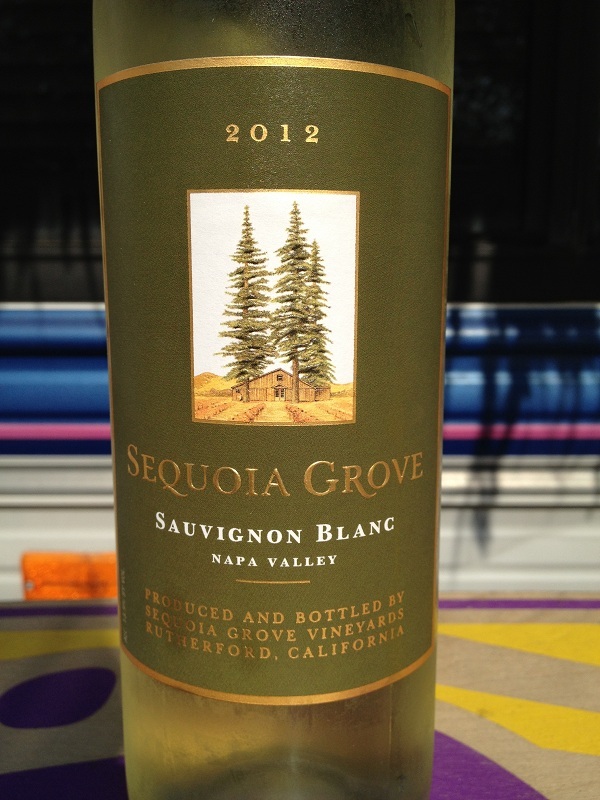 It was time to have a glass of wine so I grabbed a bottle of 2012 Sequoia Grove Sauvignon Blanc. The Sauvignon Blanc was in the wine cooler and we kept it next to one of those blue freezer blocks in our travel bag. On a hot day there is nothing more refreshing than a chilled glass of white or Rose’. 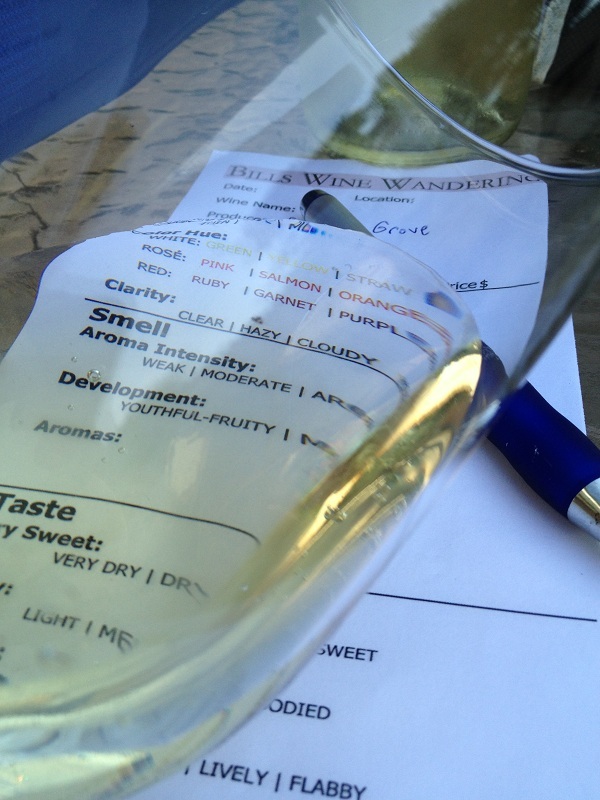 I grabbed our glasses, cork screw and a tasting sheet to take some notes. Pale color depth with a nice amber hue. Moderate aromas but it did smell fruity. We noted smell citrus, apples, and pears. The Sauvignon Blanc was slightly sweet. It was light bodied and the acidity was lively. We tasted lemon, apple, and pears. The Sauvignon Blanc was very flavorful with a long finish. How much: $22.00 before a wine club discount. 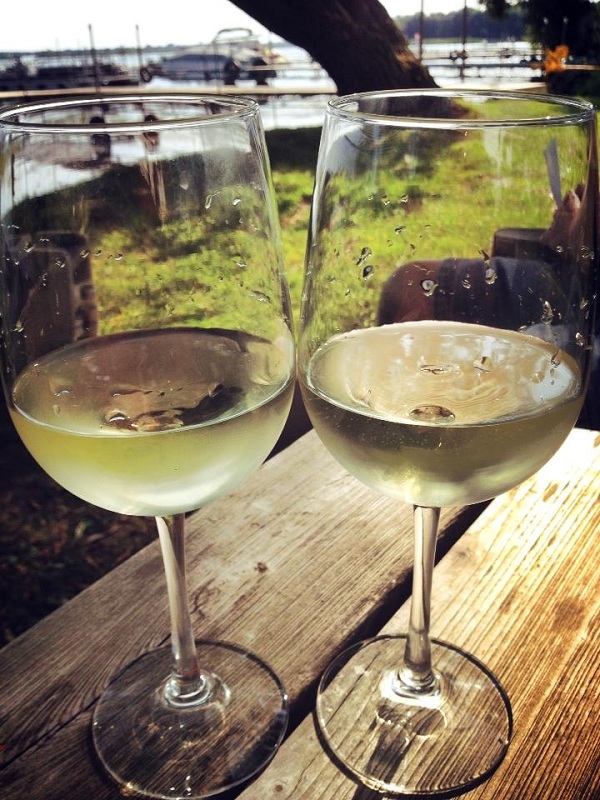 We rated the 2012 Sequoia Grove Sauvignon Blanc three glasses. It was very refreshing and flavorful. Unfortunately Dave and Heather did not show up for a while so Chris and I finished the bottle without sharing! It was a perfect start to the weekend.